Mr President, FORUM-ASIA calls attention to the significance given to democracy as well as free and fair elections in the Vienna Declaration and Programme of Action. Freedoms of expression, assembly and association are pivotal for democracy and elections. Before, during and after electoral processes, there is normally an increase in the exercise of these freedoms and it is paramount that they are not suppressed. We draw attention to a number of Asian countries that are set to undergo important elections. In July 2017, Parliamentary and Presidential elections are scheduled in Timor-Leste and Mongolia respectively. 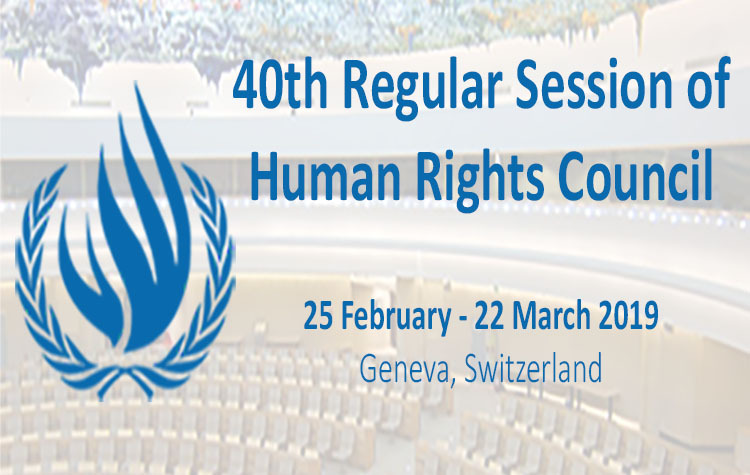 We urge all political parties and candidates to consider human rights as a core agenda in their political platforms. In September 2017, Presidential Elections will take place in Singapore, the government must respect fundamental freedoms and level the playing field for all political actors in order to ensure free and fair elections. In 2018, General and Parliamentary elections are scheduled in Cambodia and Malaysia. These elections come at a critical juncture for democracy in both countries. Arrests as well as threats and intimidations against human rights defenders and human rights organisations have been reported in these countries. The Governments of Cambodia and Malaysia must ensure that all citizens can exercise their right to vote without fear. We urge Asian governments to respect human rights and ensure the equal protection of fundamental freedoms for all citizens and political actors in the context of elections.